What time does Salamanca Markets open? 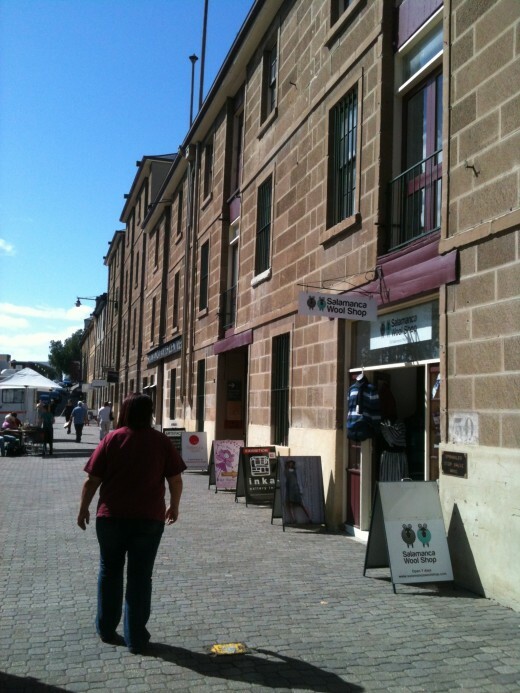 Salamanca Place is the home of Hobarts vibrant Salamanca Markets which are open from 8.30am to 3pm Saturdays. 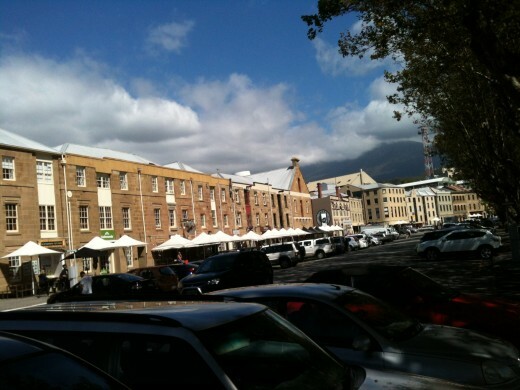 It is adjacent to Constitution Dock on the waterfront in the CBD, and is steeped in history with original historic warehouse buildings surrounding the area. What Day Is Salamanca Market On? Salamanca markets are held on Saturdays and usually draw big crowds of locals and tourists alike. What Can I Buy At Salamanca Markets? There are approx 300 stalls of all description selling everything from coffee and breakfast, to stunning Tasmanian woodwork. There is something for every taste including ceramic, arts and craft, free range eggs and farm produce, hand made clothing, buskers, musical instruments and more. Salamanca Markets are the place to be on weekends and you will find a wonderful array of local organically grown produce to tempt your taste buds, or just sit back and relax with a cool drink under the plane trees by the waterside. There are also boutique hotels, fine restaurants and museums to keep you busy and enjoying your stay. There is an abundance of cafes serving great quality coffee and cakes made from locally produced ingredients. It is most definitely one of the most laid back and relaxing places you could dream of for a 'get away from it all' holiday. 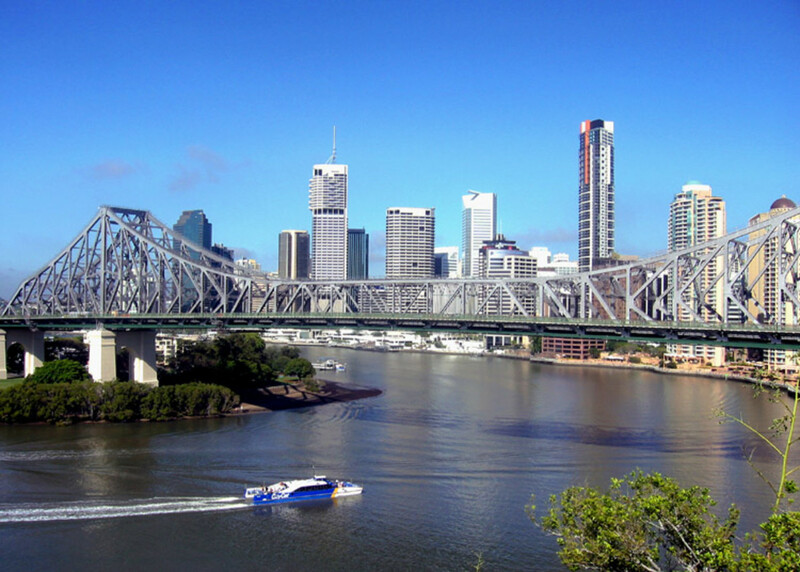 Not far from the markets and well within walking distance, is the historic suburb of Battery Point. It is a quaint village atmosphere and If you are into history then I can recommend a walk through the streets to experience the sights and sounds like no other place you could imagine. It is truly unique and well worth a leisurely stroll. 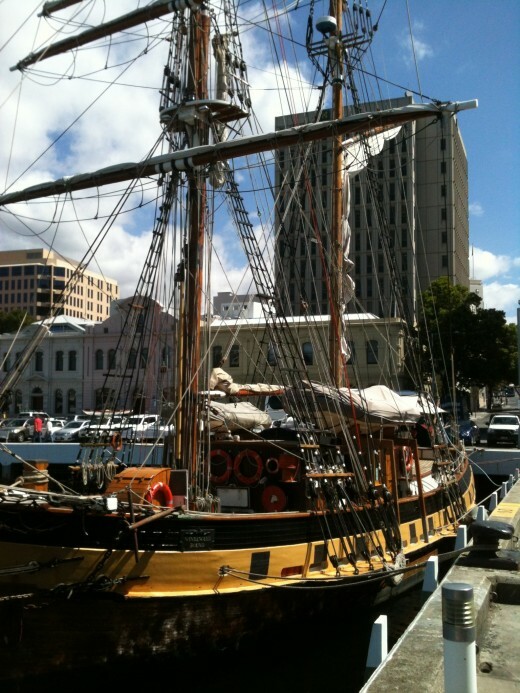 Hobart is the capital city of the state of Tasmania, in Australia. Tasmania is an island state to the South of Australia which has a 'colorful' past dating back to European settlement when convicts were sent from England to serve time in the harsh confines of the penal colony which was then known as Van Demons Land. The main convict jail was located at Port Arthur with an assortment of other buildings including the governers cottage, the barracks, and various outbuildings. It is now a tourist attraction located some one and a half hours drive from Hobart where you can take a self guided tour, or join a tour for a more in depth account of life at the penitentiary. Port Arthur was in use between the 1830's and the 1870's. It was eventually closed in 1877 and has since become one of Tasmanias most popular tourist attractions which covers some 40 hectares. Port Arthur is also unfortunately known for a siege which took place on April 28 1996, when a deranged gunman killed 35 visitors to the site. He fired indiscriminately upon anyone who came within range, and and at the end of the day was captured by the heroic actions of local Police. It was a dark day in Australia's history. 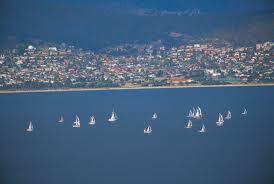 On a lighter note, Hobart is most famously known as the finish line for the Maxi Yacht race from Sydney to Hobart that takes place every year, leaving Sydney harbour on Boxing Day. The race leaders enter the Derwent River and cross the finish line after some 630 nautical miles of racing, to be greeted by a cheering crowd at Constitution Dock in Hobarts CBD. It is quite a spectacle and people flock to the area to enjoy the sights of the yachts coming in as well as enjoying a meal and beveridges from one of the many excellent restaurants and bars in the immediate area. The Sydney to Hobart is one of the truly great ocean going races, and has the potential to be extremely dangerous. The race has in fact claimed several lives since it began in 1945. A total of 6 competitors died in 1998 when 10 metre waves and 78 knot winds overcame them. Mt Wellington towers over Hobart and offers magnificent views from its lookout. In good weather you can make use of the picnic areas, barbque facilities, and walking tracks. Be sure to check the weather forecast before driving up Mt Wellington because in winter it can not only be covered in fog (which will be fairly obvious) but ice may also be present on the road, and therefore dangerous conditions, or at least hazardous conditions may be present. It often snows on Mt Wellington during winter. Mt Wellington is 4000 feet above sea level and provides spectacular scenery and photographic opportunities over Storm Bay, the Derwent River and the city of Hobart. Be sure to take warm clothing with you, as Mt Wellington experiences strong cold winds on the summit. During the warmer months when you maybe feeling more adventurous, there are also other options which include cycling, horse back riding and abseiling in the area. Just ask the friendly staff at the information centre which is centrally located in the CBD at 20 Davey St, Hobart for more details. Have you visited Salamanca Markets? Yes and I loved the Markets. Yes but I wasn't all that impressed. 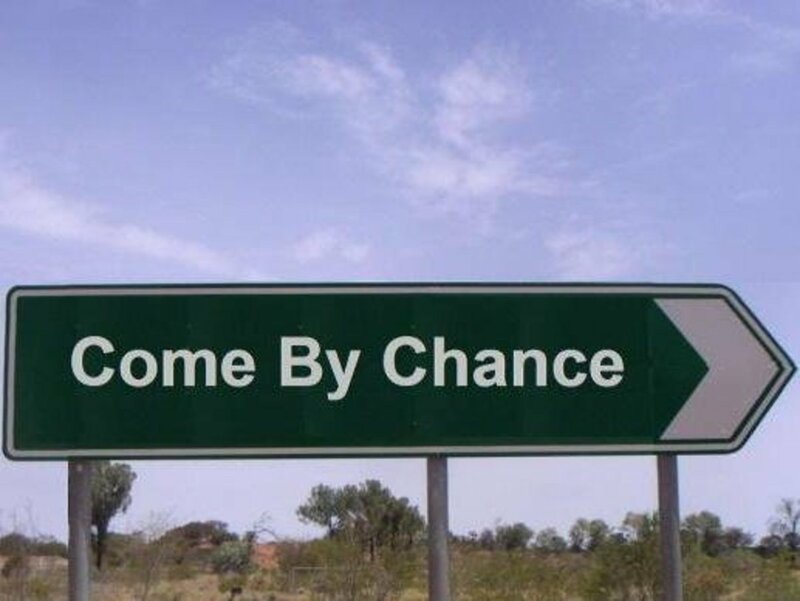 No I've never been but would love to. Hobart is one of my very favourite places. It was lovely to visit, including Salamanca Markets, again. Thank you. Hi Just Ask Susan, thank you so much for the warm welcome and I hope you get to visit Australia one day soon!! Hi freecampingaussie, seems we have some things in common... I lived in Hobart for a couple of years, used to live in Smiths Lake (near Forster) and grew up in NZ as a kiddie. Have also just spent about 2 years traveling up and down the East coast. Small world huh? I've always wanted to visit Australia and enjoy reading about this beautiful country. Enjoyed your hub and Welcome to HubPages. Hi ! 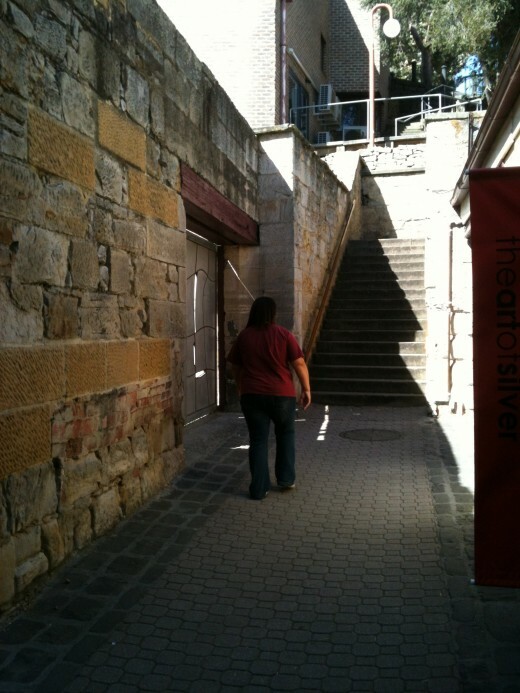 We went to Bernie , Port Arthur & Hobart on our Honeymoon a couple of years ago & want to go back ! Lived in Forster NSW as well as New Zealand for a long time & now travelling Aussie. Enjoyed your hub.